I loved it so much I had to make it back home, bringing back happy memories of road tripping around Sardinia. Here’s the recipe I use and, of course if you use Sardinian cheese and honey it tastes even better, so remember to bring some back home with you next time you visit. Make a dough with the flour and salt, adding the water a little at a time until the dough is silky and elastic. Add the butter and knead it thoroughly into the dough. Cover the dough and leave to rest for 30 minutes. While the dough is resting, melt the cheese cubes over a gentle heat. Tip: If the cheese starts to separate add a little flour. Once the cheese has melted stir in the lemon zest. Line a baking sheet with baking paper and pour the melted cheese over and spread it out to make an even layer 1 cm thick (or just under). Cut out 12 cheese circles using a 7.5 cm or 8 cm round cutter. Roll out the dough to about 3 mm thick. Cut out 24 pastry circles about 10 to 13 cm in diameter. Place one circle of cheese in the centre of one of the pastry circles and top this off with a second circle of pastry. Seal the edges together with your fingers or a fork. Repeat until all the cheese and pastry circles have been used up. Fry the pastries in hot oil about 2.5 cm deep until golden on both sides. Tip: if you are nervous about flipping the pastries, use a spoon to ladle hot oil over the upper side. Remove from the pan and place on kitchen paper but do not let them grow cold. Gently heat the honey until it is runny. 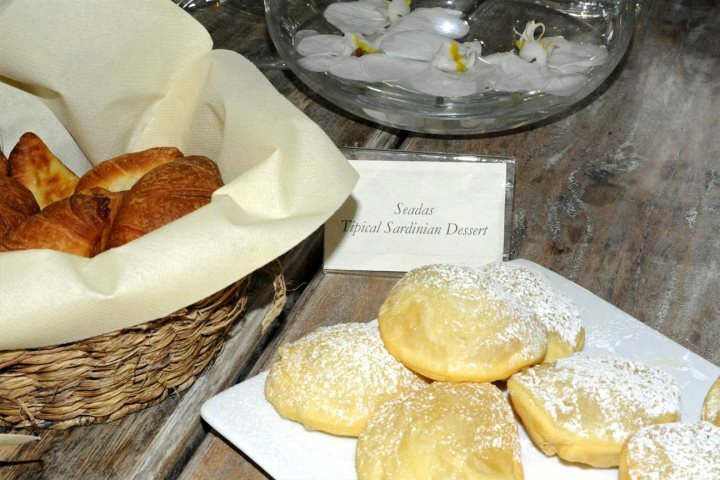 Arrange the seadas on a large plate or two, or three each on a small plate, and drizzle generously with honey or dusting sugar. Serve immediately so that the cheese is still melted and gooey. Simply omit the lemon and honey and use salt and parsley instead.